If you have ever had the chance of mowing a lawn using 0-turn mowers, you understand the benefit of this kind of a mower. Before understanding the benefit of this kind of a mower, it is important to understand what it is. This kind of a lawn mower is one that can turn a complete circle within itself. In other words, if you were to turn completely in a circle, in one direction, it would stay within the width and length of the mower’s footprint. Other mowers are not capable of doing this. When mowing a lawn, there is a certain amount of extra time and effort expanded on getting a riding mower turned around and maneuvered into tight places to mow a lawn. When a lawn mower is capable of turning inside of its own footprint, it reduces the amount of extra time and effort to mow a lawn, especially in tight places. This is helpful in a residential setting, but extremely helpful in commercial mowing operations. In a commercial setting, time is money, and the less time spent to mow the lawn means more money made. Mowing lawns commercially can be exhausting. Having a riding mower that is capable of getting in and out of tight spaces without breaking things is important. 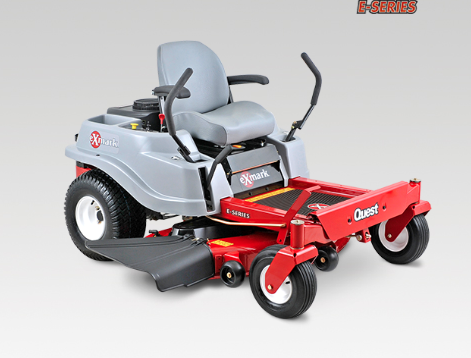 Having 0-turn mowers enables much faster and easier mowing. It also can get a person into spaces that could cause problems. For example, mowing around trees close to an apartment complex where there are windows at ground level can be trouble if not watching carefully. In addition to potential trouble of breaking property at the place that is being mowed is the potential to break the mower. These kinds of mowers are not cheap and need to be treated very carefully. Of course, mowers used in commercial mowing are durable and made to take daily mowing abuse. However, they are not indestructible and should be taken care of. Those that have used these mowers frequently learn the power of them and take things seriously. They watch carefully as they mow to make sure they are getting the job done right, efficiently, and without problems. The photos of these lawn mowers are wonderful. I know my son would love to have one of these to do our large lawn. We will have to save up for one. I am sure the lawn turns out great with these mowers. I love the idea of a 0-turn mower! 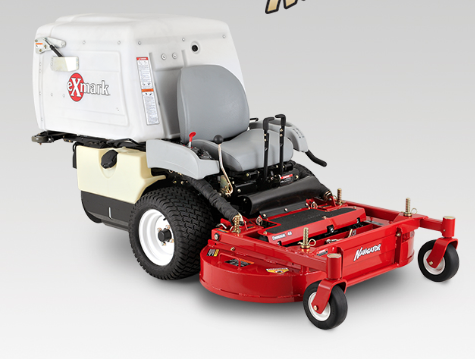 Our business currently has an old, bulky mower that is hard to maneuver around trees, air conditioning units, etc. I definitely need to look into these!